APP "I robot" 2017 vinyl? Discussion in 'Music Corner' started by narf0815, Jan 22, 2019. 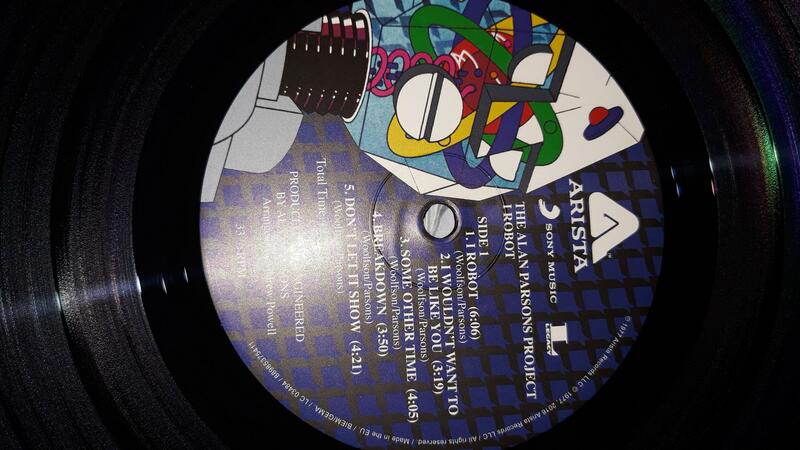 Recently I found a 1977 West Germany Pressing of "I robot" and i love this album (no contact with APP so far! ), but man... the LP is in bad shape! So i thought about getting a new one. As far as i have understood basically 2011 and 2017 release should be the same but Legacy Edition is a different pressing? I don't "need" the bonus tracks and i'd prefer the original album cover so if there's no significant difference between 2013 / 2017 i'd go with 2017 pressing. Is there anyone who's got both LPs and could help me out? The MOV seems to get good reviews, I have their Turn and it's fine. (Actually prefer my US Ted over it) but for casual it's good. Peter if you have the cash, it seems the MFSL or the Classic is the way to go. I have a few vinyls but i'd like to expand my collection so i'd prefer to get "more LPs for the amount given"
Floyd Crazy and c-eling like this. I can't speak to the MOV or Legacy, but I'm confident in saying these weren't cut to vinyl from the original analogue tapes. 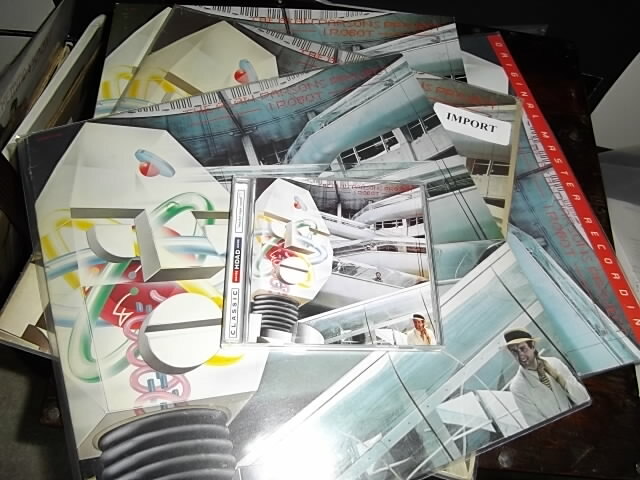 I have both the 33 & 45 RPMs from MFSL, the Classic Records reissue and a UK Sparty 1012 A1/B1. A copy of the latter (UK) should be easy to find and inexpensive. My VG++ copy is excellent. I've got the old MFSL but MFSL and Classic are not cheap. Seriously, I think if you stick with UK, West German or US originals, you'd be hard pressed to find a poorly mastered "I Robot". It's also an album that can easily be found for 10€. And in my experience a lot of vintage APP vinyl was in the hands of connoisseurs and is not too hard to find in pristine condition. Definitely easier than Motorhead! iloveguitars, Johnny Vinyl and c-eling like this. Too be honest, I prefer Alan on old compact disc except for Eve. APP is analogue productions vinyl? What I'm thinking as well Neon. Funny, the only title I really don't run into at thrifts (through 84) is Vulture. That's an ear-piercer on CD for sure and the vinyl ain't much better. No. It stands for the Alan Parsons Project. Music On Vinyl does not use CD's as masters. The 2017 APP "I Robot" I own, is a good pressing. 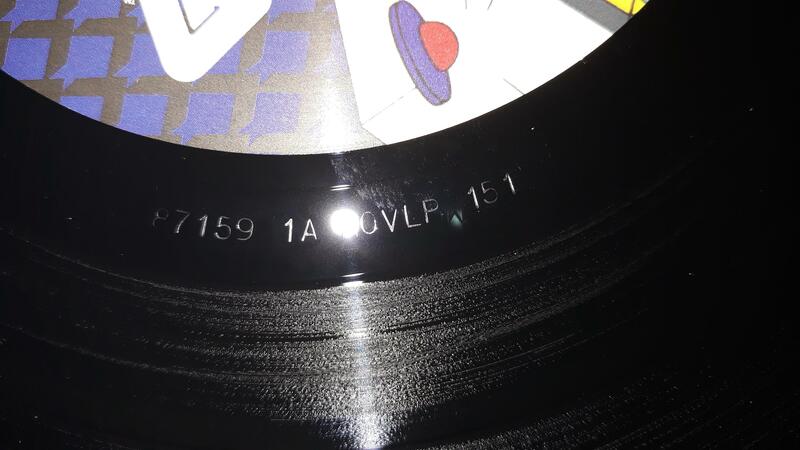 On the dead wax is marked: "87159 1A MOVLP 151". Bar Code: 889853754113.
did you have the possibility to compare this to one of "UK, West German or US originals"? In my sig link I have there only the APP "Vulture Culture" and "Pyramid". These older pressings seems to have more punch and dynamic range like the actual reissue. I have the UK first issue SPARTY vinyl and it sounds great found on Amazon for £13 n mint sleeve and vinyl. Sealed and when I compared it I preferred my first issue UK just a little better, rich bass and clarity. I also have Sony Legacy 2016 issue made in germany which sounds very good. But most APP vinyl seems well made and as said Vintage albums tend to be cared for by their owners. Hope you find nice copy.FC. Neonbeam and Johnny Vinyl like this. thanks for your input everybody! i'll keep you posted! I have not heard the MOV but I am a big fanatic of this album. I have about a dozen copies... US, UK, Canadian, Classic, and MOFI. I recommend either the MOFI 2x45 (my favorite version of this album) or for about $5 you can find a NM original US Arista. The original US copies can be mindblowing. Also now that you have discovered this amazing group you should check out their Tales of Mystery and Imagination. Dr. Funk, Johnny Vinyl and narf0815 like this. The MFSL of this is superlative! One of the best sounding LPs in my collection. What does everybody think of the first MFSL vinyl issue from 198....was it 3? 1982? Recently saw the old MFSL CD for 10€ and wondered how this could be so cheap. It was 1982 and is catalogue # MFSL 1-084. The lacquer was cut by Stan Ricker and mastered by Chris Blair. It's a nice pressing and can be had for a reasonable price. Floyd Crazy and Echoes Myron like this. Johnny Vinyl, Dr. Funk, BrentB and 4 others like this. The WG seems to use US stampers, but I have compared a German A1/B2 press to the UK, US, and MoFi. The UK cut is the one I go to. Johnny Vinyl and Floyd Crazy like this. I still need to get the older MOFI, Japanese, German...I also continue to pick up clean US copies pretty often. I can't pass up a clean US copy of this, especially for under $10. I think the last one I bought was $1. garrincha, Johnny Vinyl, Dr. Funk and 3 others like this. Floyd Crazy and Neonbeam like this.